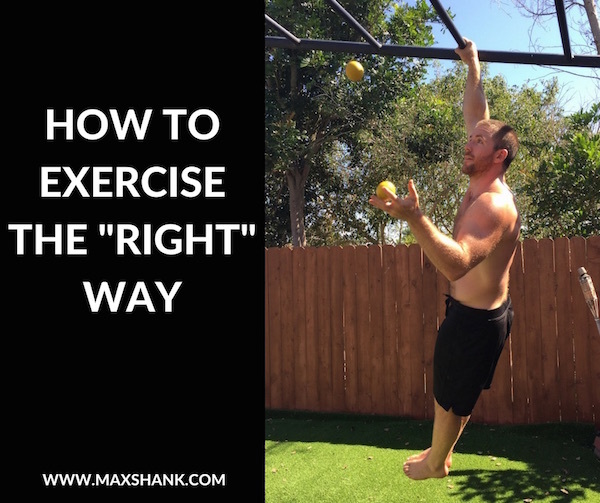 Everyone believes that they are “right.” Yet, is there really a clear right and wrong way to do the whole fitness thing? Is there a wrong way to live your own life? No, there is no wrong way to live your life – go and be free, I say – but recognize that there are consequences. And yes, I think you CAN do fitness COMPLETELY WRONG. Seriously I have heard a trainer say exactly that to a client, “it’s SUPPOSED to HURT a little.” That level of idiocy has no place in exercise. Remember the purpose of exercise is to IMPROVE some attribute. That could be to drop bodyfat, build muscle, enhance strength, increase flexibility, or any other desired result. When you throw in to that equation the fact that many people FORCE themselves to do exercise that they DO NOT ENJOY, with a HIGH RISK of INJURY, that DOES NOT achieve the desired result – I simply call that wrong. If something is a lot of fun and requires zero willpower, put a 10/10. If something is not enjoyable and requires lots of willpower give it a 1/10. Simply evaluate the injury risk of an activity. I would argue that muay thai would be near a 1 (highly dangerous) and Pilates or #5minuteflow would be a 10/10 (very safe). Identify HOW WELL the activity brings you closer to a goal. For example, 1 hour walking on the treadmill, while a great idea, is about a 1/10 effectiveness for developing larger biceps. BIG MONEY RESULTS are what you get with the cumulative effect of exercise. Just like compound interest in investing, these results come after a significant duration of consistency. If something is fun, safe, and goal-producing, it’s VERY EASY to stick with it. Fitness success is about long term consistency. Long term consistency is best achieved by adhering to the following: Don’t get injured and don’t get bored. This is simple enough, but a lot of people get stuck here due to a lack of physical ability. They just don’t have enough options available. This is why I am so damn passionate about what I call physical freedom. Just the same way that a free society gives you the power to choose your own fate–physical freedom gives you choices with how you move through the world. If you are truly physically free you can learn any sport or physical activity without fear of injury, but instead with a renewed vigor for life. The world is an incredible place FULL of a wide variety of wonderful options for physical activity. Are you Ready to Experience Physical Freedom? Many people go balls-to-the-wall with things like strength and speed but leave things like rhythm, coordination, and balance up to chance. What you end up with is a car loaded with horsepower and no steering wheel. Society put a premium on things like aesthetics and “how much ya bench?” so here’s what we got: We look AND MOVE like marble statues. Interestingly though, the traits that ACTUALLY help a person live better are on the other side of the spectrum. The correct exercise is going to have something you enjoy, that develops the qualities above, that is safe, while also building strength and muscle. Below are a few strategies to get the most frequently ignored qualities into your normal training plan. 1. Spend at least a minute between your sets (each side/direction). 2. Challenge yourself! You will get better with practice. This is really just the tip of the iceberg when it comes to developing ninja-like abilities. And when I think about it, that’s really how I want to live my life. Like a ninja…with muscles… who carries heavy things. Men (and women) in their 30s and 40s who finally stopped hurting after years of self-abusive style lifting. Men in their 60s and 70s finding the fountain of youth through improved athletic movement. I’ve seen people in their 20s skyrocket their strength AND feel better at the same time by doing LESS LIFTING and more PLAYING. You’ll see that a lot of the best ways to improve these qualities are just games. They make the movement more fun and engaging. If you came to my gym, Ambition Athletics, you would probably be confused by how often everyone is smiling DURING the workout. This is quite the opposite of many gyms where people’s faces are actually filled with pain and anguish. I’ve seen people have their goals and dreams completely derailed by basic (and easy to fix) deficits. AND I’ve seen other people get their freedom back by simply addressing their deficits! I’ve studied neuroscience deeply for the past decade and I still find it hard to believe that your vision can influence your back pain (and vice versa). But it can – and it does. It can influence other things too. By finely tuning ALL ELEMENTS of your human machine, you can supercharge your capabilities. 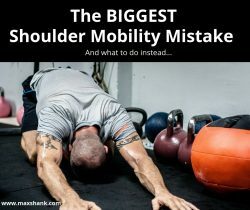 Add in more vision and dedicated breathing practice and don’t be surprised if your deadlift and bench press go up. 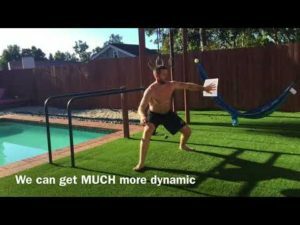 Learn how to juggle and you may find that your pullups are better than ever. So when you exercise, do it the “right” way, for the whole body, for your WHOLE LIFE. Get the muscles you desire alongside the movement capabilities of a ninja. I know there’s no “right way” to live life, but I’m definitely going to live mine like a muscular ninja.